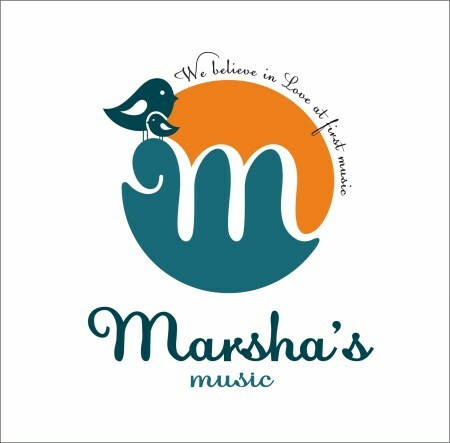 We are happy to welcome you to the Marsha's Music family! If you have any questions, please feel free to contact Marsha Melsheimer at 773-288-3815 or marsha@marshasmusic.com. If you miss your regularly scheduled Music Together® class for any reason, you may schedule a makeup class. Makeup classes can be scheduled at any location, with any teacher, in any age appropriate class, on a space-available basis. They must be taken during the current semester and cannot be "carried over". You may schedule your make-up class as soon as you know you are going to miss a class. We often see an end-of-semester rush, so try to schedule your makeups as early as possible to avoid disappointment. The health of all classroom participants is important to us, so we take measures to ensure the cleanliness of our classroom and limit exposure to germs. We take time to sanitize our classroom space, instruments, and materials after each class with a child-safe cleaning solution. If you or your child is sick, please stay home from class and schedule a make-up. Holiday closures will be announced at the beginning of each semester. Classes may be cancelled due to inclement weather, teacher illness, and for other extraordinary circumstances. You will be notified by phone if your class in cancelled. The class cancellation may also be left on our office voicemail and posted on our website, Facebook, and Twitter accounts. Cancelled classes will be made up at the end of the session. Marsha's Music occasionally uses photography/videography of classes and events for marketing purposes, including digital and social media. If your family would like to opt-out, please provide written notification to marsha@marshasmusic.com. Without written notification, we will assume your family's comfort with our marketing policies. Full payment is due with registration. If you have to withdraw, tuition may be refunded before the first class. In the case of unusual illness or circumstances that prevent a family from participating, credit may be issued towards another Music Together semester or tuition may be refunded in part at the discretion of the director. We understand that sometimes unexpected things happen. However, please note that non-attendance does not constitute a withdrawal from class. We are able to offer tuition refunds unless we are informed of your intent to withdraw prior to the registration deadline. We promise to respect your privacy. Any information you provide about yourself or your students is held with the utmost care and security and will not be used in ways to which you have not consented. We do not sell, rent, loan, transfer, or otherwise disclose any personal information, including your name, address, or email addresses with other organizations outside of Marsha's Music or Music Together LLC. Only Marsha's Music and Music Together LLC staff and our authorized agents have access to personally identifiable information provided by visitors to our site. Information gathered on our website is collected and used internally only by authorized individuals at Marsha's Music, Music Together LLC, and SimplySignUp LLC. As with any website operator, Marsha's Music analyzes its websites logs to improve our website and meet the needs of our visitors. The only individualized information that Marsha's Music and Music Together LLC obtains and retains about you through our website is information you voluntarily supply. We will only use that information to fulfill the purpose for which it was supplied to us. We use the information we collect from families enrolling in a Music Together class to keep you informed about your class, how you can support your child's music development at home, and to provide information about upcoming semesters. If you sign in as a visitor to our website, we ask for your contact information so we can send you announcements about upcoming semesters, as well as other educational information. Marsha's Music and Music Together LLC maintain several email lists to keep email subscribers informed about news and the latest information as it pertains to classes, scheduling, events, center information and promotions. Individuals may also receive materials by mail or be contacted by telephone. We do not share the email addresses with anyone outside of Marsha's Music, MUSIC TOGETHER LLC or its authorized agents. Only Marsha's Music and Music Together LLC staff and our authorized agents have access to personally identifiable information provided voluntarily by visitors to our site. Look at the URL (website address) in your browser. If you are connected to a secure server, the URL will always begin with "https" rather than "http." Most browsers display an icon that indicates whether or not you have a secure connection. Look for the unbroken key or closed lock icons in the bottom left or right corner of your browsers.